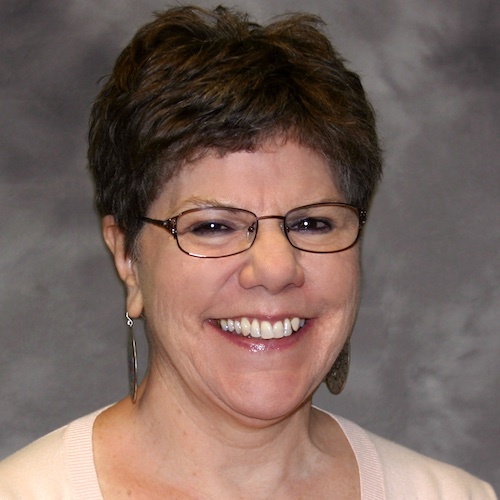 Deborah Pitts PhD, MBA, OTR/L, BCMH, CPRP is an associate professor of clinical occupational therapy in the USC Chan Division of Occupational Science and Occupational Therapy. She has developed an expertise in the philosophy and practice of psychiatric rehabilitation. She weaves her expertise in the area of schizophrenia, psychosocial rehabilitation and community support programs into her interest in how occupation influences the “lived experience” of recovery for persons labeled with psychiatric disabilities. She has provided consultation to local and statewide providers of community-based psychiatric rehabilitation services in California. She has served as a CARF behavioral health surveyor. She has conducted numerous workshops and published in the occupational therapy, psychiatric rehabilitation and mental health literature on these topics as well. She served as AOTA’s Mental Health Special Interest Section (MHSIS) Chairperson from 2003-2006 and as an MHSIS Professional Development Liaison from 2006-2009. She chaired the work group that developed the competencies for AOTA’s Board Certification in Mental Health. She has chaired or served as a member of several AOTA ad hoc Work Groups that have focused on the mental health practice issues. She currently serves as the AOTA representative to the WFOT’s Mental Health Special Interest Group. In acknowledgement of her long-standing commitment to advocating for the role of occupational therapy in mental health, she was the recipient of the 2011 Occupational Therapy Association of California (OTAC) Practice Award and the 2017 OTAC Award of Excellence. Occupational therapists must be aware of professional and policy trends. More importantly, occupational therapists must be involved in efforts to influence policy both for the profession and for the people they serve (Bonder, 1987). Using the state of Illinois as an example, this article reviews the policies and initiatives that impact service decisions for persons with psychiatric disabilities as well as the rationale for including occupational therapy in community mental health service provision. Despite challenges in building a workforce of occupational therapists in the mental health system, this article makes the argument that the current climate of emerging policy and litigation combined with the supporting evidence provides the impetus to strengthen mental health as a primary area of practice. Implications for scholarship of practice related to occupational therapy services in community mental health programs for individuals with psychiatric disability are discussed. Topic. This paper provides an overview of occupational therapy in the context of psychiatric rehabilitation and mental health recovery. Purpose. The paper delineates practical aspects of occupational therapy's involvement in the mental health field with a discussion of occupation and the elements of conceptual models that guide the practice of occupational therapy. Sources Used. CINAHL, Psych Info, Medline. Conclusion. Occupational therapy is a key discipline in the field of psychiatric rehabilitation and brings to the field a strong theoretical and knowledge base along with unique procedures and practices. It is important for the psychiatric rehabilitation field to learn from all disciplines, including occupational therapy. Vaccaro, J. V., Pitts, D. B., & Wallace, C. J. (1992). Functional assessment in psychiatric rehabilitation. In R. P. Liberman (Ed. ), Handbook of psychiatric rehabilitation. New York, NY: MacMillan.